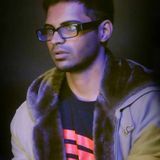 Karna is a smasher from Houston, Texas who is currently ranked 1st on the Houston Smash 4 Power Rankings. Playing competitively since November 2014, his rise to the top has been very fast paced, based on his notable 1st place victory in Texas Showdown and Absolute Battle 6, and 7th place in Low Tier City 3. He is currently ranked 2nd on the Texas Smash 4 Power Rankings and formerly in the "Area 51" spot on the Panda Global Rankings v5. Karna is well known for the fluidity of his aggressive playstyle, being a bit more risky and flashy than other high level Sheik players. He has wins on players such as tamim, CaptainZack, tyroy and Konga.